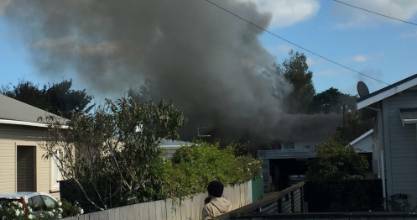 Fire damaged a block of four flats in Hāwera on Friday morning. A New Plymouth house fire was put out in 10 minutes. Remember life before the internet? Hawera does. A Taranaki man's claim to have witnessed the fire at Notre Dame in Paris on Tuesday morning has been revealed as a hoax. Movies may pull in eager archers, but that's not what encouraged New Plymouth's latest world champions. The Easter bunny is bringing more than just chocolate eggs to Taranaki this Easter weekend. Enjoy the long weekend before the weather packs up. A poet who has been writing for more than 50 years says New Zealand has put its own spin on the traditional Japanese haiku. Every day when Ash Peters walks into work he gets so hungry it hurts. New Plymouth's Colson Rd residents are preparing for days of fresh air and a cleaner, quieter life. Taranaki patients will no longer be sent to Waikato Hospital for surgery following a new state-of-the-art angiography suite. Being an optometrist in Opunake is not without its benefits. Just because the nights are getting shorter, that doesn't mean you need to go dark. OPINION: Brianna McIlraith had given up on owning a home. Then she hit the expo. Taranaki top farm is a real family affair. A search for the best education for her daughters led Poppy Murrells to Oakura's new Green School.